It was the second annual Sale City Community Outreach 5K on Saturday morning, 28 September 2013, but it was the first time that the road race was actually a full five kilometers. The inaugural event in 2012 had been cut short when the runners went astray and ended up racing less than three miles rather than the regulation 3.1. But there was no such misstep in 2013, and 44 athletes went the full distance. The fastest in that field was Pelham master runner Phillip Morris, who finished more than 600 meters ahead of the runner-up. The top male finisher in 2012, Morris ran the 2013 race in 20:04. The Westwood Schools Wildcats of Camilla, Georgia, had a strong showing in the race, taking the next three place--Brent Johnson was third in 23:18, Walt Cochran was fourth in 24:16 and John Kimball fifth in 25:08. Jill Hope of Camilla, Georgia was the first female finisher, coming in tenth overall in 26:39. The second female finisher was the top female master, Leesburg athlete Anna Wade, who placed 13th overall in 29:17. 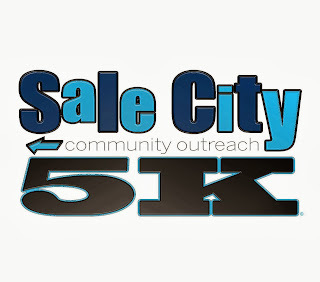 The Sale City 5K benefited the Sale City library. Finish line and timing services were provided by A Course/Line, LLC, of Valdosta, Georgia. * Because of a wrong turn, the 2012 Sale City Road Race was short of 5K. 2012 story, "Westwood and Harrell bully the field in Sale City"
October is Breast Cancer Awareness month. On 28 September 2013, with October just days away, Get-A-Mammy, inc., staged Valdosta's third annual Get-A-Mammy 5K--the race that reminds women everywhere to "Get a mammy!" That is, a mammogram. Thirteen-year-old Makenzee Page won the 3.1-mile race, turning in a 22:28. Valdosta master runner Debbie Green was the runner-up in the race, finishing 18 seconds back in 22:46. After the ladies had taken the first two places, Valdosta master runners Nate Simmons and Mark Steele finished a fraction of a second apart, with Simmons narrowly taking third place overall. Both runners were clocked in 25:05. The Get-A-Mammy 5K benefits Get-A-Mammy, Inc., a non-profit whose programs include providing and administering funds for free mammograms to those who need financial assistance in obtaining a mammogram. 78 athletes finished the 2013 edition of the race. 2012 story, "Williams and Williams winners at a growing Get-A-Mammy 5K"
2011 story, "Burnett and Smoot tops at Valdosta's Get-A-Mammy 5K"
Florida State University undergraduate and former Viera High School distance runner Jonathan Campbell won the Run Wild 5K at Tallahassee's Apalachee Regional Park on Saturday morning, 28 September 2013. Nineteen-year-old Campbell covered the 3.1-mile cross-country course in 17:59, finishing comfortably ahead of runner-up Gary Robinson. Robinson's time for the race was 18:41. Albert Reed was third in 19:28. Coming in fourth overall, Tallahassee lawyer Sheryl Rosen was the first female finisher, running 19:47 and crossing the finish line almost 800 meters ahead of her nearest rival in the women's competition. The runner-up on the women's side was Grace Jackson, 13th overall in 23:24. Just ahead of Jackson, 12th overall in 23:23, Jason Wright was the first master finisher in the race. The top woman master was Laura Reina, at 25:17 the fifth female finisher. It was the third annual Run Wild, but the first to be run on the Apalachee Regional Park cross-country course. The previous two Run Wild events were held miles away in Tallahassee's Phipps Park. The 2011 and 2012 races had also been 6K runs during the spring; the 2013 Run Wild was a fall season 5K. 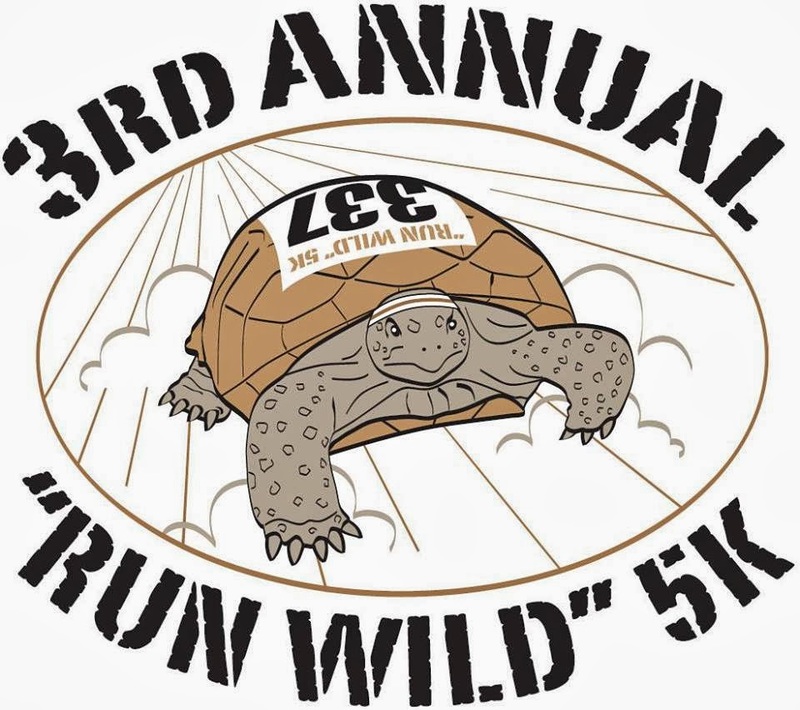 Staged by the Wildlife Alert Award Association, this year's Run Wild also had the distinction of being the first race at Apalachee Regional Park this fall. Before the cross-country season is over, ARPXC will be the venue for the Leon County Middle School cross-country championship, the FSU cross-country invitational, a FHSAA district cross-country meet, the Florida State High School cross-country championships, the FACA High School Senior All-Star Cross-Country meet, and Gulf Winds Track Club's Tannenbaum Trail 6K. In 2011 and 2012 the Run Wild was a six-kilometer cross-country race in Phipps Park. 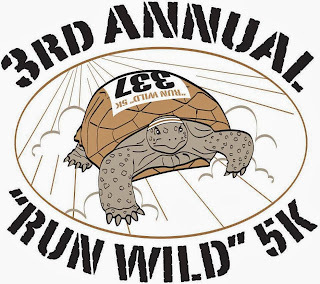 In 2013 the Run Wild was a five-kilometer cross-country race in Apalachee Regional Park. For many runners, the Run For Lawson 10K would be enough. 6.2 grueling miles of cross-country running over the hills and meadows of Welaunee Plantation is quite a test. For Chris Lake, though, the 10K was just a stepping stone to an even longer race. "I'm getting ready for the half-marathon in Jacksonville next week," explained Lake. Lake showed off some of that preparation on Saturday morning, 28 September 2013, winning the 10K cross-country race at the third annual Run For Lawson in 35:50. The time set a new record for the race and put Lake at the front of a field of 172 finishers in the 10K. The race started and finished at 8:30 AM behind Holy Comforter Episcopal School on a hilltop, making for a fast start and a tough finish. A 5K race also started at the same time; the 5K runners did one loop around the course and the 10K runners continued around for a second loop. On the first time around, Chris Lake got out in front of everyone, whether they were running the 10K or the shorter 5K. Jack Redwing and Roger Schmidt led the pursuit, followed by Tony Guillen, the defending champion. Lake edged farther ahead through the first loop and into the second half of the race. Redwing and Schmidt continued to run together till the last mile. Schmidt made a move, leaving Redwing behind. Then, with the end of the race approaching, Schmidt took a wrong turn. By the time Schmidt recovered, Redwing had an insurmountable advantage, and had even made up some ground on Lake. Lake was home first in 35:50, though, with Redwing taking second in 36:38. Roger Schmidt was third with a 37:37. Tony Guillen was the first master runner in the race, coming in fourth at 38:44. Each of the top four athletes beat Guillen's winning time in 2012, the old course record. Jillian Heddaeus led the women's field through the first half of the 10K race. Early in the second loop Renee Cox overtook Heddaeus, moving into the lead. Heddaeus stayed close, though, and it got even closer when Cox took a wrong turn at the same spot where Schmidt had gone astray. Cox recovered quickly, though, and raced to the finish line ahead of Heddaeus, winning the women's title in 45:53, a new course record for women. Heddaeus was right behind in 45:57. Gray Kinch was the third female finisher, running 47:20. Lisa Rutledge was the first female master, finishing tenth in the women's field with a 49:39. Gary Droze is the only champion that the Run For Lawson 5K has ever had. The Maclay School coach won the race in 2011 and 2012, then added a third title in 2013 with a winning 18:20 for the 3.1 miles. Runner-up Michael Martinez was half a minute back in 18:52. Likewise on the female side, Maclay School freshman Molly McCann had a string of two straight victories in the Run For Lawson 5K going into this year's race. McCann extended her streak to three with a winning 21:23, a new Run For Lawson 5K record for women. Lindsay Pfau was next in 21:52, and Holy Comforter Episcopal School cross-country runner Katherine Resavage was the third female finisher, posting a 22:27. 315 athletes finished the 5K. Finish line and timing services for both races were provided by racetimesports.com of Altamonte Springs, Florida. 2012 story, "Farther is better for Guillen and Thumm at Run For Lawson"
2011 story, "Droze and McCann race for Lawson"
Holy Comforter Episcopal School's cross-country team opened their home season on Thursday afternoon, 26 September 2013, with the Crusader Cross-Country Classic. Middle school athletes from ten different schools gathered in the meadows behind Holy Comforter for the competition on Lawson's Course. Holy Comforter and Maclay split the team titles, but all the individual honors went to Holy Comforter. The girls' 3K race started at 4:00 PM ET. HCES seventh-grader Katherine Resavage went right to the front, with more athletes in Crusader red following in her wake. Halfway through the race, Resavage and her fellow Crusaders, Emma McGibany, Hannah Hosay, and Julianna Heuchan still held the first four positions, but Sage Marlett of North Florida Christian and Anna Lewis of Maclay had moved up to fifth and sixth to challenge the HCES monopoly. Lewis continued to pass competitors, advancing to second place, but Resavage couldn't be caught. The Crusader ace continued to lengthen her lead, winning the race in 12:10. Lewis was runner-up in 12:54. HCES runners Emma McGibany (3rd, 13:12), Hannah Hosay (4th, 13:29), Avery Smith (5th, 13:30), and Julianna Heuchan (6th, 13:33) took the next four places, giving the Crusaders an unbeatable score of 19 points. Maclay was second with 45 points and Trinity Catholic third with 79. James Ford of Holy Comforter and Rodney Beasley of Taylor County vied for the lead right after the 4:30 start of the boys race, but Ford soon had the front to himself. At the halfway mark Ford was still setting the pace, while eight seconds back Maclay's Max Eastman had moved into second. Ford only widened the gap during the second half of the 3K, going on to win the race in 11:20. Eastman was second in 11:44. Maclay next three runners--Jay McDuffie (4th, 12:01), Harrison Obrecht (7th, 12:14), and Alfredo Paredes (8th, 12:18)--also cracked the top ten. But Holy Comforter had Joseph Ashebo (5th, 12:10), Bryce Valveri (6th, 12:07), Trey Jackson (12th, 12:36), and Jackson Roberts (13th, 12:46) all across the finish line before Maclay's fifth scorer. Fortunately for the Marauders, that fifth runner, Hunt Deison (14th, 12:51), was close behind, giving Maclay a narrow 31 to 33 win over Holy Comforter. Community Christian's team was third with 77 points. 2012 story, "More wins at home for Holy Comforter cross country"
2012 story, "McCann and Fitzgerald lead Holy Comforter victories at Crusader 3K"
2009 story, "Poole, Bartlett victorious at Holy Comforter"
Lee County School System Wellness Cup 3 Hour and 6 Hour Endurance Runs. 6:00 PM ET. Lee County High School, Leesburg, Georgia. Entry form and flyer. Dan VanOteghem, vanoteghemdo@lee.k12.ga.us or 229-759-1970. 2nd annual Ashburn Women's Club 5K and one-mile fun run. 8:00 AM ET. Turner County Pre-K, Ashburn, Georgia. Entry form and flyer. Jessica Parker, Jessica@parkerchevrolet.com or 425-8180. Suwannee River Breast Cancer Awareness 5K. 8:00 AM ET. Olustee Park, Lake City, Florida. Entry form and flyer. Online entry at ItsYourRace.com. Kristi Feagle, kristifeagle@yahoo.com or 904-318-8104. 6th annual Jog For Jake 5K and one-mile fun run. 6:00 PM ET 5K / 6:4 PM ET one mile. Tift County High School, One Blue Devil Way, Tifton, Georgia. Event web site. Event page on Facebook. Entry Form and flyer. Online registration on EventBrite.com. Mike the Dog's 4th annual Half Marathon, Marathon and 50K. 8:00 AM ET. Lake Lafayette Heritage Park, Heritage Park Boulevard, Tallahassee, Florida. 2010 story. Entry form and flyer. Dana Stetson, danastetson@yahoo.com or 850-668-3839. Stop The Violence 5K. 4:00 PM ET. Southwood Town Center, Merchants Row Boulevard at Four Oaks Boulevard, Tallahassee, Florida. Event web page. Entry form. Danielle Gulasa, dgulasa@refugehouse.com or 850-922-6062. Gulf Winds Track Club's Pine Run at Tall Timbers 20K. 7:30 am ET. Tall Timbers Research Station, 13093 Henry Beadel Drive, Tallahassee, Florida. 2012 story. 2011 story. 2010 story. 2009 story. Entry form and flyer. Online registration at RaceIt.com. Chuck and Jana Davis, cdaviscycle@gmail.com or 850-385-8611. Zeta Tau Alpha's Race To Live 5K. 10:00 AM ET. ZTA House, 514 West College Avenue, Tallahassee, Florida 32301. 2011 story. 2010 story. Event web site. Online registration at RaceIt.com. Nikki Sisserson, race2live2013@gmail.com or 321-302-3096. 2nd annual Run For The Racquets 5K and one-mile fun run. 8:00 AM ET 5K / 9:00 AM ET one mile. First Baptist Church Woodville, 9500 Woodville Highway, Tallahassee, Florida 32305. Online registration at RaceRoster.com. Kelley Fisch, KFisch@avsequinehospital.com or 850-345-4777. Running For Shoeboxes 5K. 8:00 AM ET. Climax Baptist Church, 596 Union Springs Road, Whigham, Georgia. Event page on Facebook. Entry form and flyer. climaxbaptist@gmail.com or 229-224-6042. Stepping Out For Your Heart 5K and one mile. 8:00 AM ET 5K / 9:00 AM ET one mile. Northeast Campus of Tift County High School, 3021 Fulwood Road, Tifton, Georgia 31794. Online registration at active.com. Jack O'Lantern Jog 5K and fun run. 7:00 PM ET fun run / 7:30 PM 5K. Thomas County Upper Elementary School, 4681 U.S. Highway 84 Bypass, Thomasville, Georgia 31792. Event web page. Entry form and flyer. Peanut Run 5K. 7:30 AM ET. Unity Baptist Church, 101 East Bryant Drive, Sylvester, Georgia 31791. Entry form and flyer. Sylvester – Worth County Chamber of Commerce, 229-776-6657. Bras Across The Bay 5K. 8:00 AM CT. 300 East 4th Street, Panama City, Florida. Event web page. Online registration at active.com. Jogging For Jugs 3-Mile. 8:00 AM ET. Roy's Restaurant, 100 1st Ave SW Steinhatchee, Florida 32359. Patty Zurbrick 352-356-7100. TJWC: Trick-or-Trot 5K and one-mile fun run. 8:00 AM ET 5K / 8:45 AM ET one mile. YMCA Hunt Park Campus, 1823 Westover Road Tifton, Georgia. Online registration at active.com. Trick Or Trot 5K and one-mile Monster Dash. 5:00 PM ET 5K / 6:00 PM ET one mile. Willie J. Williams Middle School Gym, 950 4th St. SW, Moultrie, Georgia 31768. Entry form and flyer. Online registration at active.com. Hank Haywood, hhaywood@uga.edu or 229-616-7092. Trick Or Teach 5K. 8:00 AM ET. Integration Statue, Woodward Plaza, Florida State University, Tallahassee, Florida. Event web page. Event page on Facebook. Online registration at active.com. 3rd annual VetFest Veterans' Day 5K. 8:30 AM ET. Vietnam War Memorial, South Calhoun Street at Apalachee Parkway, Tallahassee, Florida. 2012 story. 2011 story.